Glenn Beck and Keith Ablow’s book, The Seven Wonders That Will Change Your Life, alternates chapters by Beck with those by Dr. Ablow. Beck reveals a painful past struggling with his destructive alcohol addiction and his search for spiritual meaning. Ablow, in his chapters, comments on Beck’s entries, relates anecdotes from his practice as a psychiatrist, expounds on the seven wonders, and offers advice for the reader dealing with similar or other issues. The “seven wonders” from the title are courage, faith, truth, compassion, friendship, family, and common sense. What people should know is that this is yet another self-help book based on the (unbiblical) belief that people “are inherently good” (165). Early in the book, Beck states the false assumption that God is “in everything and everywhere and inside me, too” and that God “will not let me rest until I took the journey to find my pure personal truth and full potential” (58). Beck does not give a basis for this conviction except to quote Exodus 3:14 where God gives his name as “I AM.” Beck also gives a rendering of this as “He who is ever becoming what He is,” a phrase repeated throughout the book by both Beck and Ablow. Beck writes that he read New Age bestselling author James Redfield’s book, The Celestine Prophecy, which teaches an idea called synchronicity (see CANA article on The Celestine Prophecy). This concept fascinated Beck. Synchronicity as a theory originated with occultist psychiatrist Carl Jung, and was the name for his proposition that seemingly unconnected coincidences are in reality meaningfully connected. After reading Redfield’s book, Beck decided to look for synchronicity in his life and follow up on them. One of these trails of synchronicity concerned his friend Pat Gray, a Mormon, who, over the years, expressed his desire to tell Beck about the LDS faith (Latter Day Saints). Beck states that he was often working at jobs connected to Mormons – radio stations owned by Mormons (in Seattle and Provo, Utah), or he had Mormon coworkers. This connection with Mormons happened often enough for Beck to view this as synchronicity. Giving in at last to Pat Gray’s invitation to attend a Mormon service, Beck visits with his family. In a class called Gospel Principles, Beck asks the teacher, “Where’s Gandhi? He didn’t accept Jesus as his savior, so is he burning in Hell?” (Reading this evoked a flashback for me of Rob Bell’s use of this issue for his book Love Wins). Beck expected that the answer would be that although Gandhi had been a good person, he was in hell (147). So to Beck’s surprise and delight, he discovered that Mormons believe that people have a chance after death to believe in Jesus, and that there is no actual hell, only “the Hell of realizing you could have been with your loved ones and your Heavenly Father and His Son, but you’re not” (148-149). [Note: Mormons deny the Trinity so their Heavenly Father and His Son are separate, the Son being the created offspring of Heavenly Father and his wife]. Beck once again uses the “I AM” phrase to mean that one’s “path is to forever evolve into yourself; to always be striving to become the person you are supposed to be” (150-151). This begs the question: Supposed to be based on what? Beck refers approvingly to writer Jon Kabat-Zinn as a “physician and author” (89). However, Kabat-Zinn is not a physician. Rather, he is a follower of Zen Buddhism whose mindfulness stress reduction method is unfortunately being taught and used in hospital centers across the country (see CANA article on Mindfulness). Ablow also makes assumptions, such as “you are permanently, irrevocably connected to truth” and “divine power” is in everyone (71). He refers to the Bible but interprets it from a New Thought perspective. 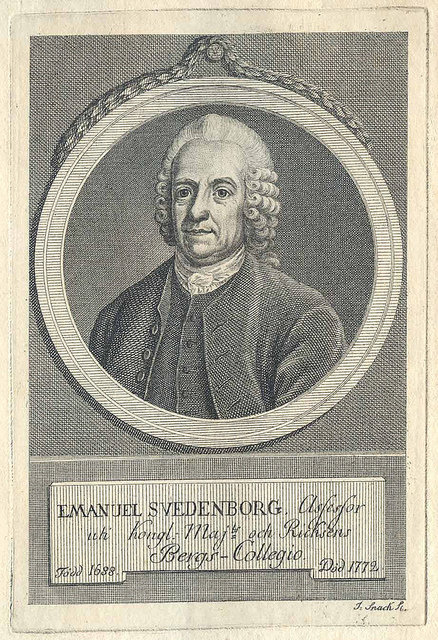 New Thought, a movement birthed with angel whisperer Emanuel Swedenborg, gained steam in the late 19th and early 20th centuries. New Thought, which claims to be Christian, teaches that every person is innately divine, that man’s problem is that his perception of God and man has been warped by traditional Christianity, and that the man Jesus came to correct this wrong thinking (see CANA article on New Thought). The New Age movement blended in large amounts of New Thought along with tenets from Gnosticism and Eastern religions. New Thought added an apparent big dose of Christianity to New Age. Citing a Vedic (Hindu) story, Ablow states that “the entire universe, according to Vedism, can revolve around one person’s inner resolve to find truth and pursue his or her destiny” (79). Going further, he refers to the “Gnostic religion” as “an offshoot of Christianity,” and states that Gnosticism teaches the value of “remembering who you truly are, not who you have allowed yourself to become” (83). He also quotes a Gnostic writing that one “who knows himself, knows the depth of all things” (84). Ablow is taking liberties in trying to make Gnosticism sound like a modern self-help philosophy. In actuality, these Gnostic statements refer to the belief that man is actually a spirit being from a remote God who is trapped in a body in the material world. The key to liberation from the material world is to know the secret Gnostic teaching that one is truly a spirit and thus learn how to escape the body. That is what “knowing who you are truly are” is about. 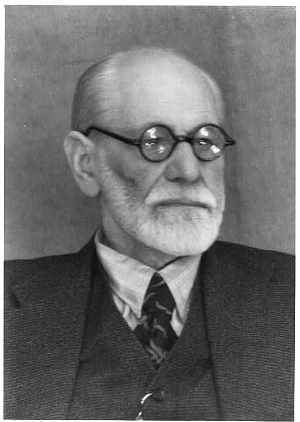 Frankly, these ideas are not far from the New Thought worldview, so it is no surprise that Ablow is sympathetic to Gnostic thinking. Ablow also quotes from the Gnostic Gospel of Thomas that “if you know yourself then you know the Kingdom of God” (84). These Gnostic teachings are at total variance with the Bible, and thus should be immediately rejected by Christians. One does not know the kingdom of God by knowing one’s self! Jesus ushered in the Kingdom of God, and it is only through faith in the true Jesus that one becomes a part of and enters the Kingdom of God. Ablow, in true New Thought/New Age fashion, believes in an energy that flows throughout the universe from which one can draw. He states that the reader can tap into this, that it is a “force that was inside your soul from before your birth and is inside your soul this very moment. It will never leave you. You can rely on it. It is nothing less than your connection to God” (113). In this view, God is a source of energy; He becomes merely a tool that enables you to achieve and succeed, to reach your “full potential.” This is pure New Thought. As a true New Thought New Ager, Ablow cites a variety of religious sources: Buddhist, Christian, Hindu, New Age, and others. He devotes almost a whole page to a quote from Ernest Holmes (1887-1960), a New Thought pioneer and founder of the Church of Religious Science (176-177). Clearly, Ablow is on the same spiritual wavelength as Ernest Holmes, not just due to this quote in the book, but based on what he is saying about one’s potential and innate connection with the energy from God. Despite the God talk and references to Jesus, this book is all about you. You have a vast potential that has its very source in God. This remains untapped until you realize it and make use of it. “God Wants You to Have Your Moment,” writes Beck (220). Ablow refers to “the miracle of spirit, of God, that has lived inside you from long before you were born” and you must now connect with that (85). Misquoting the biblical statement, ”You are the temple of the Holy Spirit” as “You Are the Temple of God,” Ablow uses this to bolster his message that everyone is a temple of God, meaning that everyone has God in him and her (283). That everyone is divine and is part of God and/or has God in them is a core New Thought and New Age doctrine and is a major theme of the book. “Every single one of us has magic inside us that can transform our lives and the lives of others” declares Ablow (283). Faith and truth are the two most distorted of the seven wonders in this book. There is nothing in the book about man’s need for redemption because man’s inner divinity is assumed, and everyone is innately connected to God and part of God. There is no message about faith in the true Jesus Christ, and it would be surprising if there were since neither Beck nor Ablow are Christians. The term “I AM” is never clarified in context and it is never explained why it implies we are all part of God. Beck quotes the biblical story of God giving this name for Himself to Moses, and then Beck immediately begins to misinterpret and misapply it as meaning that God is in everyone. However, although God is everywhere, He is distinct from His creation. He is not part of it. “I AM” is God’s name, not a name for man, and it has nothing to do with man reaching his full potential or having an inborn divine nature. But since Mormons believe that God was once a man and that man can evolve toward godhood, and since New Agers have a belief about being in process of uncovering their true God Self, Beck and Ablow together forge a harmonious but poisonous message. Unfortunately, this message ignores the holiness and other-ness of God, and denies man’s sinful nature and need for salvation. God is undermined and man is built up, principles that are twin cornerstones of New Thought and New Age philosophy. I'm Sorry, Glenn....It's Over. It's Not Me, It's You.